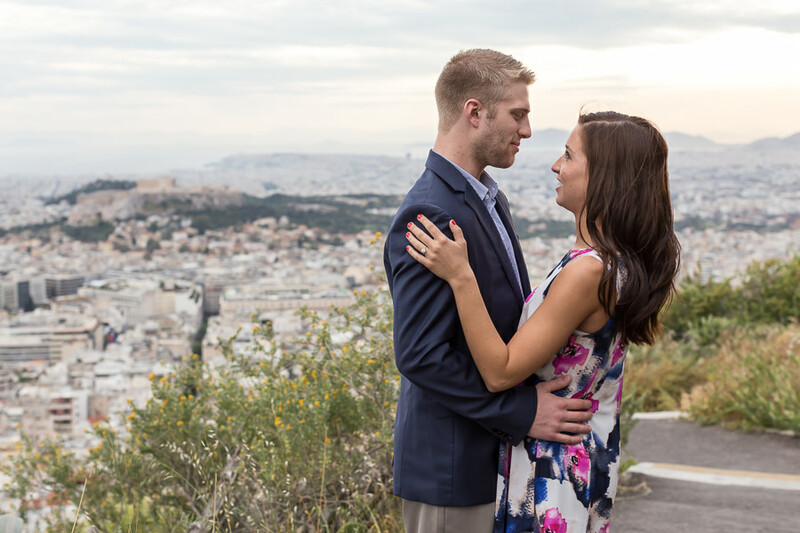 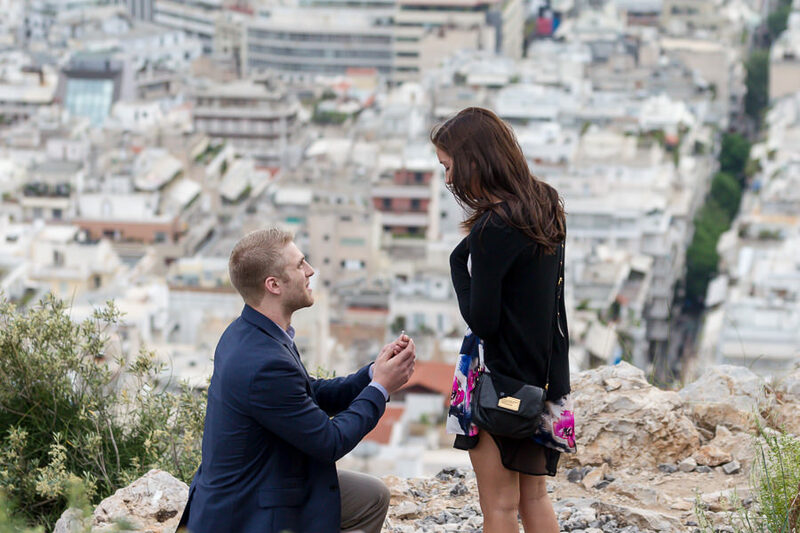 Matt had the most romantic idea, a surprise proposal in Athens. 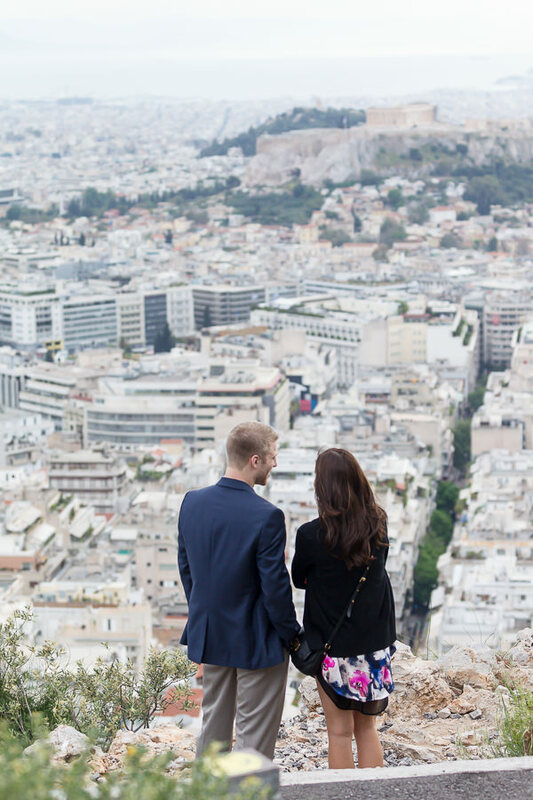 We worked together to find the perfect place, he decided on a specific spot at Lycabettus Hill, overlooking most of Athens city and the famous Acropolis Hill. 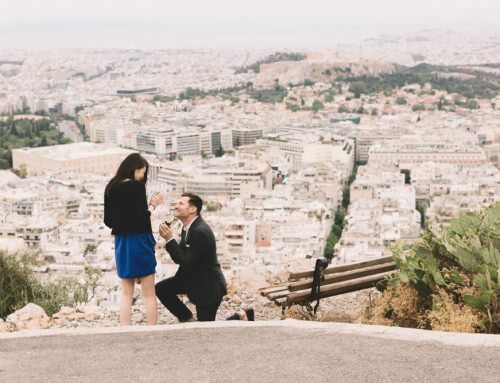 He and his future wife, Abby, come to the predefined spot on time, and after that it was his own show, proposing in the most beautiful way, while i was taking photos of them. 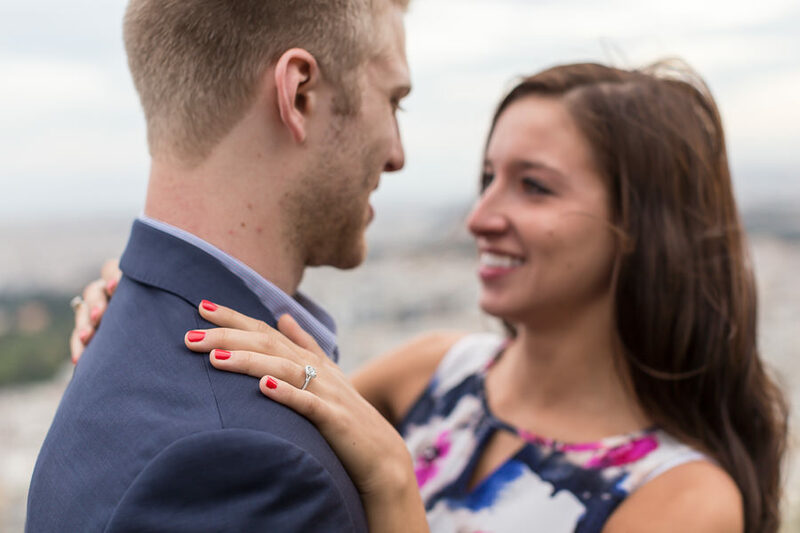 And as you can see from the photos, Abby said yes! 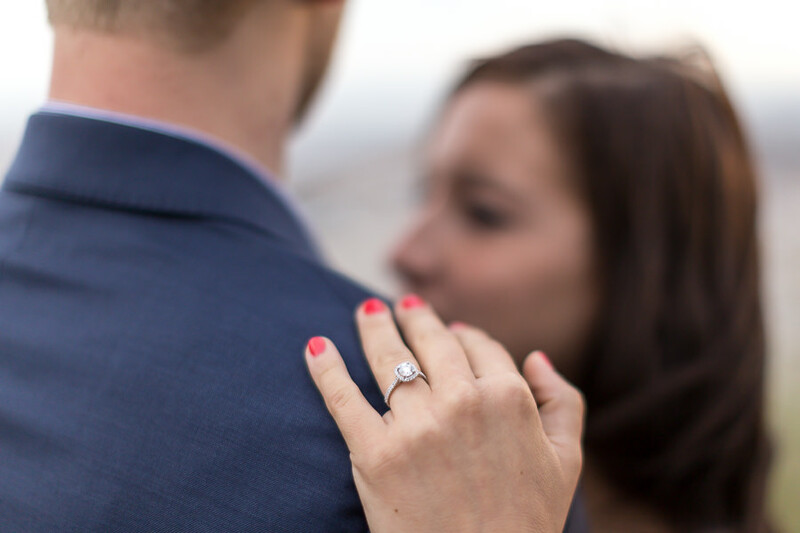 After that we had some time (10 to 15 minutes) for a quick proposal photoshoot and which we all enjoyed. 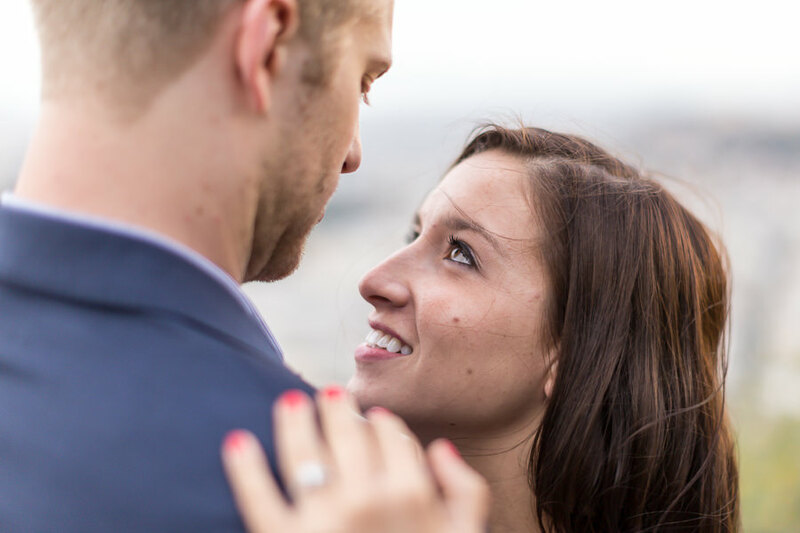 Matt and Abby were very happy for each other, which as you can see showed in the pictures. 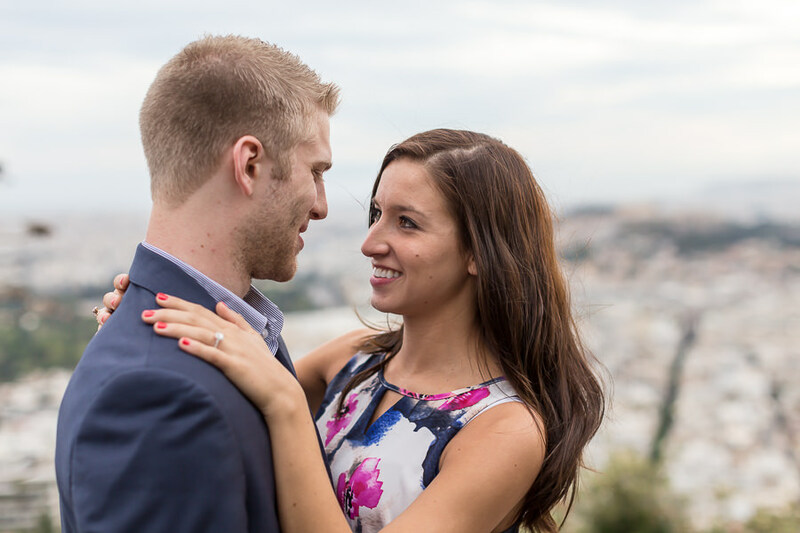 Being a gentleman, Matt had scheduled also a romantic dinner and i was quick to get the photos and leave them alone to enjoy the rest of the day. 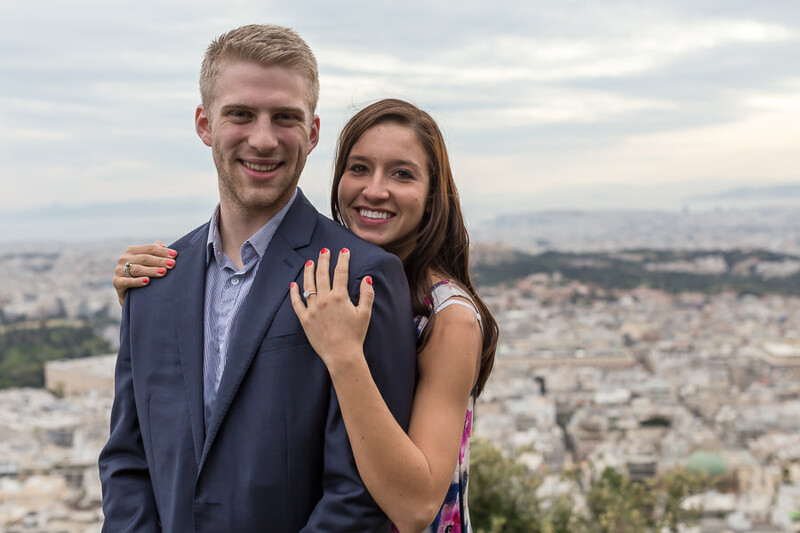 Matt and Abby i wish you the best, you are such a loving couple! 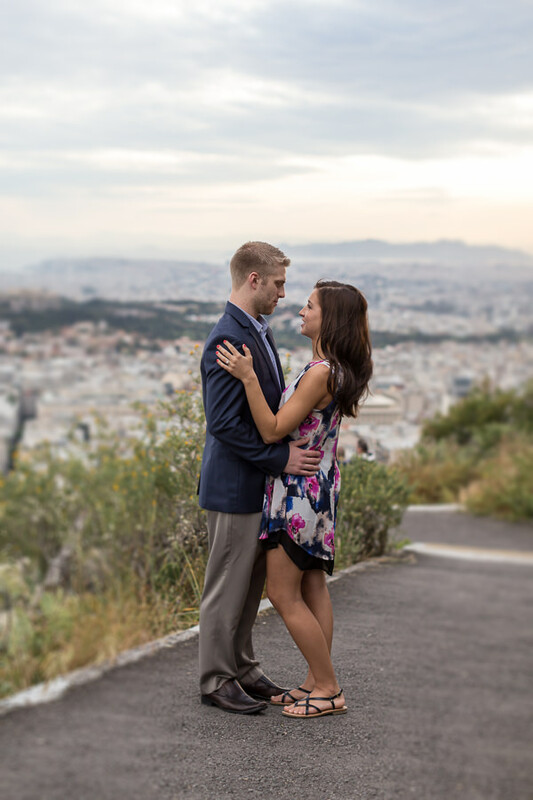 Athens is a wonderful place to visit, so much better for a romantic photo shoot. 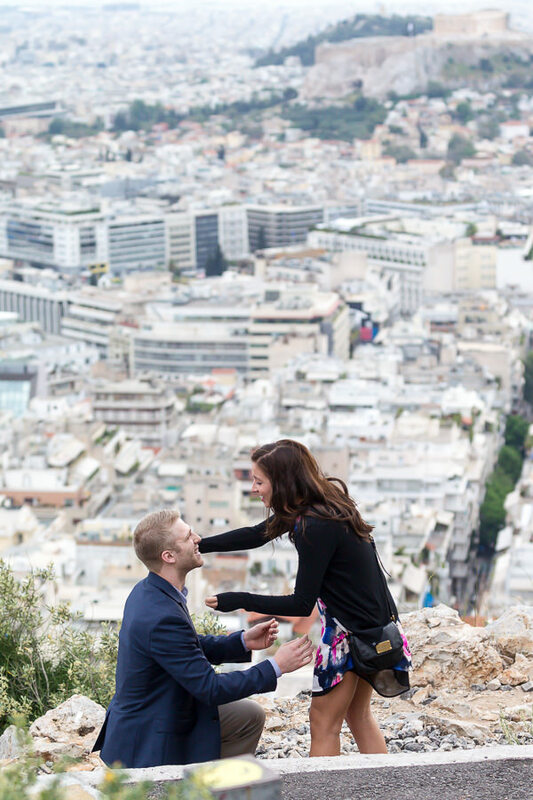 There are so many wonderful places near the center of Athens city, (inquire for more) i would gladly work with you to find the perfect place for you to propose. 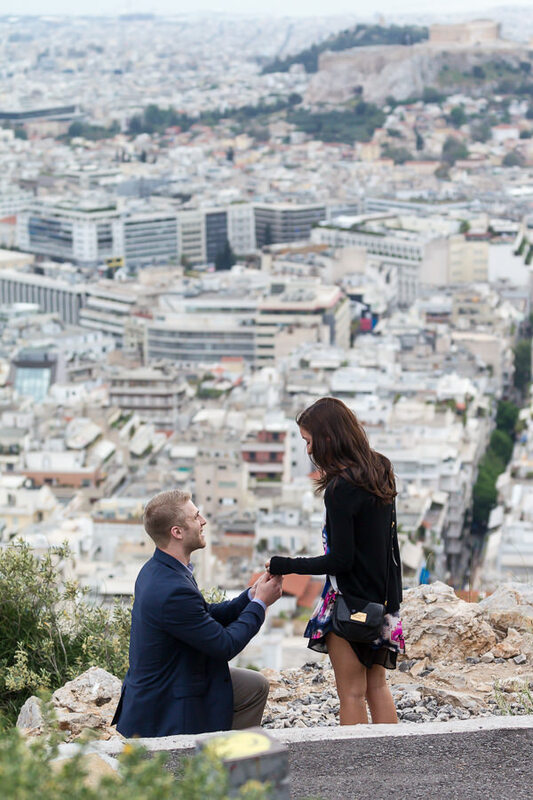 Have a look at the proposal of Chen & Sandy at Santorini and the proposal of Brian & Akiyo in Athens.